Protect your organization against data loss in the cloud by backing up critical data to a secure cloud storage on AWS or GCP. Your critical data will never be lost or leaked when protected by us. Identify and blacklist risky apps connected to your G Suite Data to avoid data breach in your organization. MS Office 365 Backup and Recovery. Protect your O365 data against accidental or on purpose data loss by backing up sensitive data to a secure cloud storage on AWS or GCP. Protect your organization against data loss in the cloud by implementing a Disaster Recovery plan with Automated Daily Cloud-to-Cloud Backup to a secure cloud storage on AWS and GCP. Read more. Protect your sensitive SaaS data against Ransomware with automated 24/7 monitoring and an advanced incident response plan. Read more. Identify and blacklist risky apps connected to your critical data on G Suite to avoid data breach in your organization. Great protection against data leak and insider threats in the cloud. Read more. Protect your organization against ransomware, insider threats, and human error by identifying business risks and security threats, and by backing up your sensitive data to a secure cloud storage at GCP or AWS. Save time and money by fully automating data protection at your organization. Automated daily backup of your sensitive SaaS data to a secure cloud storage at AWS or GCP across USA, Europe, Asia, and Australia. Protect your business against data loss disasters in the cloud that mostly come from ransomware and human error. Keep a copy of your critical messages, files, photos, events, and tasks at a secure cloud storage. Get access to it anytime and anywhere. Protect your sensitive personal data from ransomware. The combination of Cybersecurity and Backup provides the most sophisticated protection against ransomware and insider threats. Over 49% of companies face monthly data loss and leak due to human factor and ransomware. 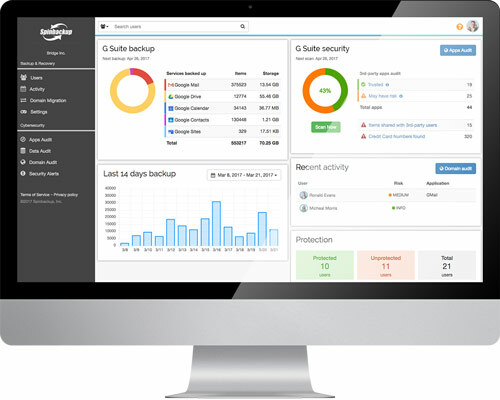 As a leading IT consultancy, we have been using Spinbackup for a year. It has saved multiple clients from disaster. I strongly recommend Spinbackup for all of our Google clients as a necessary leg of the off-site backup strategy. Very safe application. It allows us to manage roles, by users, select only that we need to back up, quickly and safely. Technical support always attentive and helps us with everything. So far so good. We have our 5 most important accounts + team drive being backed up and about 6.5GB of storage used in total. I recovered several files to test out the response time and it was pretty good (~3 mins). I see the weekly summary report which is a great reminder that your product is quietly working in the background. I've been using Spinbackup for a little over a year for my company's G Suite backups. At first there were a few features/functions that I wanted but weren't provided by the service, but the support team helped me understand workarounds and roadmap to my satisfaction. They have since rounded out the feature set to include everything I need. The tool seems trustworthy and the support team is very responsive and helpful. Great backup tool, I have been using it for years and I find that it very reliable. Great guys there @ spinbackup. Very service minded! At first was skeptical however after using it multiple times this is MUST have tool for any organization who is using Google apps. Excellent product! Excellent service! Switched from Spanning Backup to Spinbackup as Spanning Backup let us know that we were backing up too much data. They had no way of dealing with this so their only recourse was to terminate our service. After looking around I settled on Spinbackup and have been extremely pleased so far! Easy to use, easy to configure, working smooth. 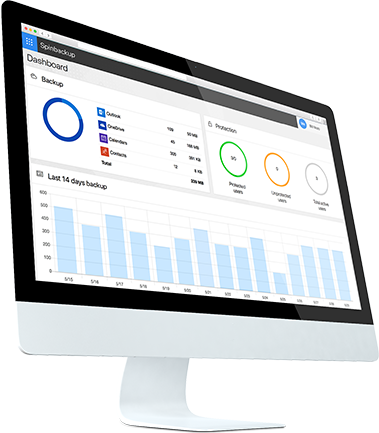 We used Backupify before and switched to Spinbackup because the interface responsiveness is way faster. Also the interface to restore items is better and more intuitive, options easier to find and admin roles easier to define. The so called 24/7 support at Backupify is non existing, responses from support take up to 2 hours (for simple questions) whereas Spinbackup replies within minutes, maximum hours. # Spinbackup is the solution to go for! 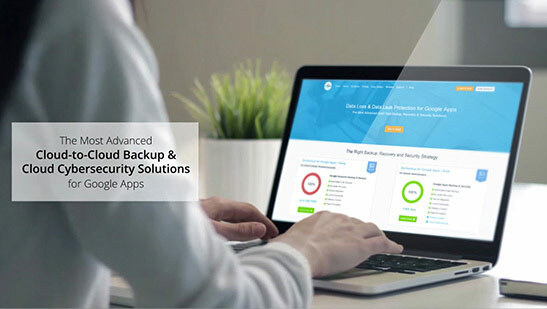 We have selected maximum protection 2-in-1 - cybersecurity and backup. This helps us protect our data in full, every day. One of the most important requirements was customizable access to backed up data for domain administrator. Spinbackup suits all our needs. I'm impressed with the functionality and security of this product. Since it can backup all of my most delicate and sensitive data on both my personal Google account and my Google Domain, it is ideal. I really love the user interface. Dynamically tracks and displays the status of each backup. I've tried all three major backup utilities (Spinbackup, Backupify, and Spanning), and Spinbackup is the most user-friendly. And so far it appears to be reliable as well, which is the most important attribute. 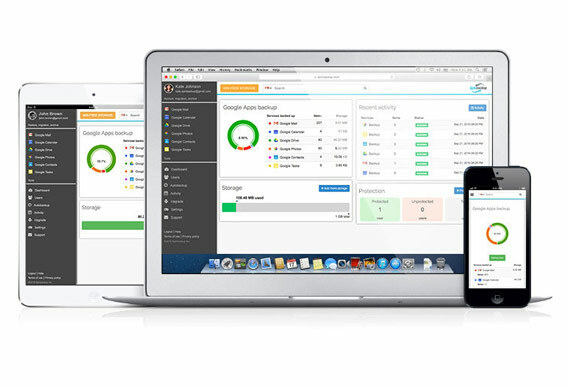 Spinbackup is the greatest Google backup client I have been able to find on the internet. Getting it up and running was a breeze. Everything is well designed, intuitive, and - best of all - their product works flawlessly. I have recommended it to all of my friends and coworkers.